I was standing in line at Michael's the other day with a cart filled with craft supplies and a handful of 40% off coupons. I normally don't succumb to impulse purchasing, but when I laid eyes on my ice cream maker (affiliate link) I just knew I had to have it! Just days later, I decided to experiment and make two homemade ice cream flavors of my own. 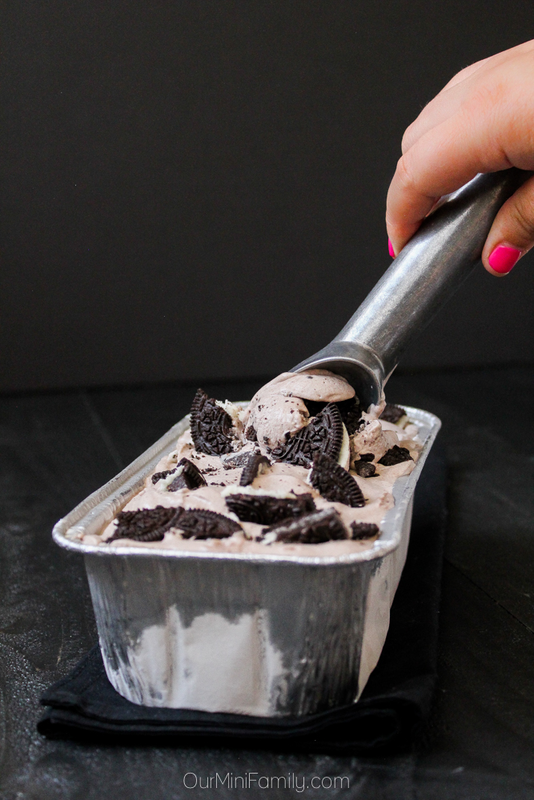 Today, I'm sharing my Vanilla Bean, White Chocolate and Oreo Crumble Ice Cream recipe! I am so stoked to see how you all like it (and if you want me to continue sharing more ice cream recipes). 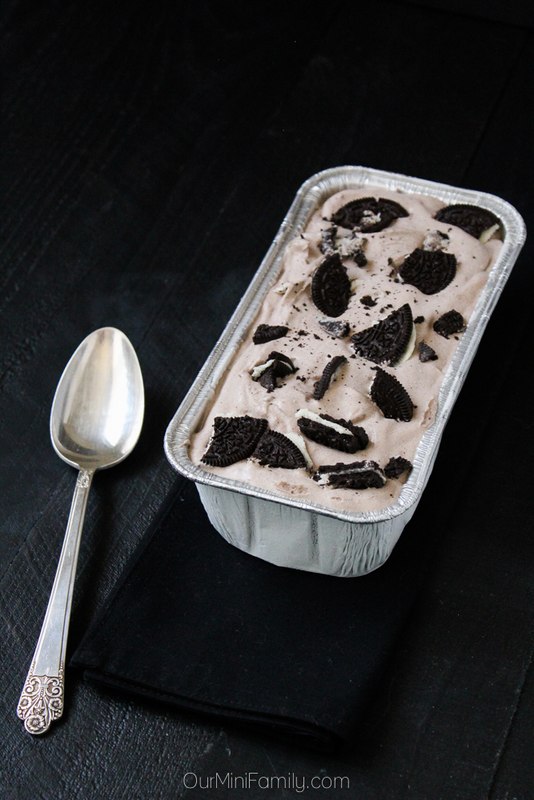 I decided to share this one because, well, who doesn't like Oreo cookies in their ice cream? In a large mixing bowl, combine your milk and sugar. I use a standing mixer and have it on medium for 1-2 minutes. If you are doing your mixing by hand, you may want to stir twice as long. Continue stirring and then add in your whipping cream. Keep mixing for another minute. Add in your pre-sliced and seed-free vanilla bean. Then add in your vanilla extract. Continue to mix for another 1-2 minutes. Pour in 20 completely crushed Oreos and your white chocolate sauce (keep 5 Oreos in tact and put them off to the side). Mix until it's well blended. Using an ice cream maker, chill and churn your creamy mixture in your pre-chilled bowl for however long your specific maker tells you to. In my mixer, it took 45 minutes until it was ready to serve. Towards the end of the churning cycle, split your remaining 5 Oreos into halves and toss them in--this way, you can have some larger pieces in your ice cream, too. When the ice cream is the texture you want, remove it from the ice cream maker and store in a freezer-ready container. I used an aluminum pan with a lid (affiliate link), and the lid definitely helped keep my ice cream from getting freezer burn! What I really like about making ice cream is that it can be a family activity! Adam helped me crush Oreos while I was mixing, and it was nice for him to be able to help without actually getting in the way in the kitchen. For those of you who have kids, making some ice cream this summer would totally be a fun project for a hot day spent inside. I think it's safe to say that I am hooked on making my own ice cream! It's so easy! Have you ever made your own ice cream before? The links you see above are affiliate links--please feel free to check out the products used to create this recipe. Anything with Oreos in it is a winner in my book! Looks so yummy! Right?! I totally agree--Oreos make everything taste better for sure! 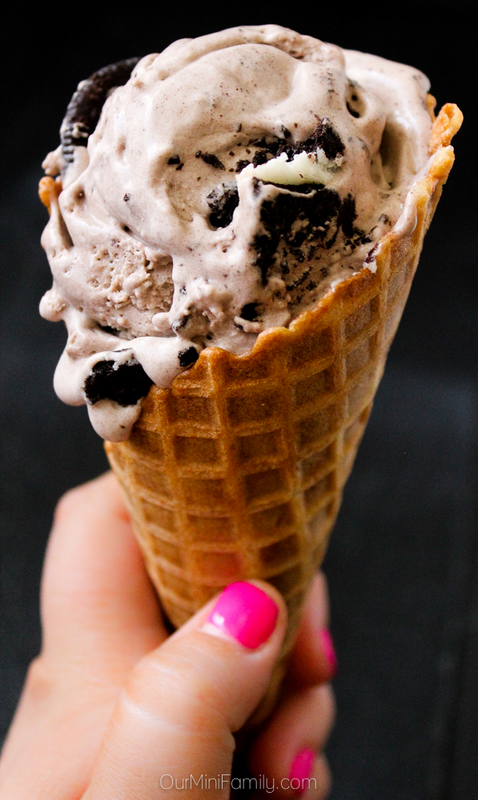 Crushed oreos or pretzels are always great with ice cream. Yours looks outstanding. Thanks so much, Lydia! And I love pretzels in mine as well--gotta have that salty & sweet combo! YUM! I've never tried making homemade ice cream but this looks super delicious and doable! Oh it's super easy if you have an ice cream maker! Yes please! I definitely want to try this out. I've never tried homemade ice cream and I've always wanted to. Ice cream is my favorite dessert. Love it! I highly recommend it---it was really therapeutic for me! This recipe looks amazing! I love making homemade ice cream in the summer, I'm adding it to my list! Your recipe looks and sounds amazing and your photo makes me want to dive right in! I was curious about your coffee flavor product too! I bet your family loves this! Looks yummy! Oh, that looks and sounds fantastic! I will have to make this asap. We make our own ice cream all the time because my youngest has food allergies. We use the same main ingredients as you, so this will be simple to make. 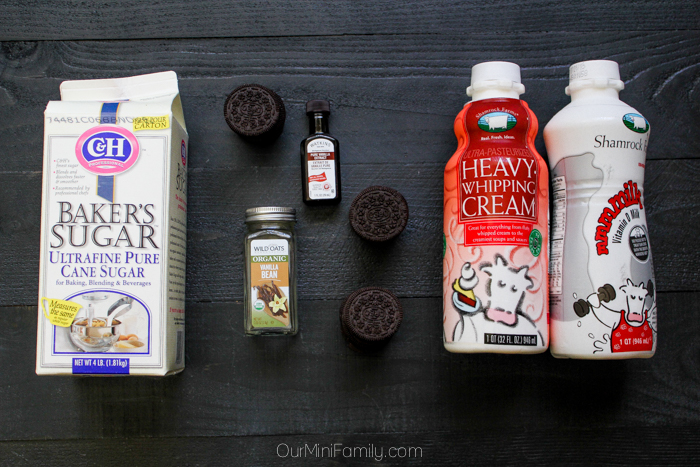 I'll just pick up allergy safe oreos, and figure out how to make white chocolate syrup! I am so glad I ran across this!! I am pinning! Thank you, Joanna! I am so glad you ran across my post, too! I hope your youngest loves the ice cream, and thanks for following me on Twitter and Bloglovin this morning! I love ice cream, and this one sounds and looks amazing! Oh my goodness- this is awesome!!! We love ice cream, but I bet homemade would be so much better! I honestly don't think I'll eat store-bought ice cream again for quite a while! It's super easy with the ice cream maker! For real, this is gorgeous. Beautiful photos, and amazing recipe. Can't wait to make it. DH & I love ice cream! There isn't a flavor that we don't like. It just so happens Oreos N' Cream is amongst our favorites. I do not have an ice cream maker, but I will save your recipe because I want to experiment using the freezer only for making it. Yeah more work, but I'm willing to give it a shot. Thanks for sharing! My #WW linky is open, if you care to join me HERE! I am dying for a double scoop! Coming from Treasure Box Tuesday! There's enough for seconds for sure! And thank you so much! Homemade Ice Cream is just the best! This looks so delicious, the pictures are beautifully enticing! Stopping over from The Weekend Retreat link up :) Have a wonderful day! Thanks so much--I am glad you like my photos, Alexis! Appreciate you stopping by from the party and I hope you have a great day too! I don't have an ice cream maker but I totally want this! I am sure you can make it without an ice cream maker! 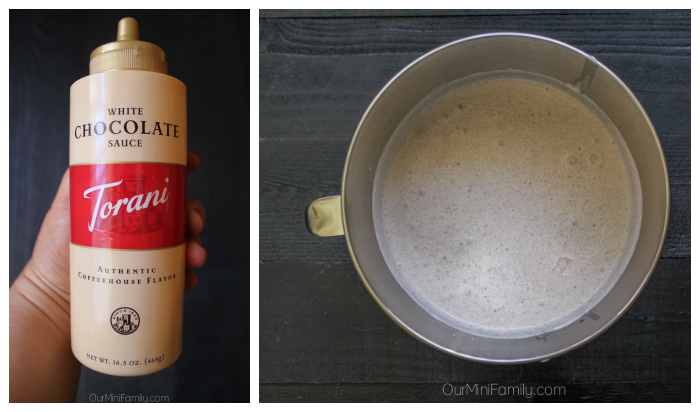 I've seen a lot of similar recipes (minus the white chocolate) online that are no-churn. You should look into it! This looks so good! I love making homemade ice cream.